The UK government’s campaign to encourage Shared Parental Leave take-up has prompted extensive discussion of why fathers seldom share care for young children (at least) equally with their partners. Debate has continued in relation to recommendations from UK parliament’s Women and Inequalities Committee for a 12 week ring-fenced period of well-paid paternity, alongside legislation to encourage employers to allow fathers to work flexibly. All this against the backdrop of women’s continuing disproportionate responsibility for the first few years of children’s lives, with all its implications for gender gaps in career earnings. But, amidst this context, why is it that some men do take on primary or equal caregiving responsibilities – and what happens when they do? 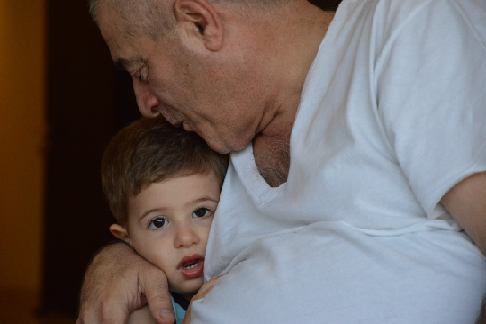 We interviewed 24 UK fathers of children aged three or under who regarded themselves as their family’s primary caregiver or as sharing care equally with their partner. While two of the fathers in the study were on parental leave, most were engaged in longer-term, post-maternity-leave arrangements as primary caregivers or equal care sharers. Several fathers had reversed traditional roles to become primary caregivers, their partner having returned to work full-time – but only some of these were full-time ‘stay-at-home fathers’, the rest splitting their week between caregiving and part-time work. The majority of the fathers were sharing care (more or less) equally with their partners. Largely neglected by existing research (Ranson being an exception), equal care sharers had various arrangements with respect to paid-work and the use of outside care. Consistent with broader trends, most of the fathers had not taken extended parental leave and had begun fatherhood as primary breadwinners. Notwithstanding invaluable efforts to improve paternity leave, then, policy makers and campaigners should also continue to focus on facilitating permanent shared care arrangements, including those involving the juggling of caring, paid-work and day care. When fathers described what had prompted their unusual care arrangements, the most significant factor tended to be an expedient response to (unusual) circumstances. But the most prominent and consistent reasons centred on finances, career prospects/orientations, childcare practicalities and work practicalities (including hours, location and level of flexibility). Partners often earned more or had greater career prospects. For others, constraints on their partner’s work flexibility, issues with childcare availability/affordability or the location of work were important. What was unusual about most of these fathers, then, was less their pre-existing orientations and more the circumstances in which they found themselves. Practicalities, then, may hold the key to greater numbers of men sharing care at least equally in the future. Without losing sight of the importance of attitudes and awareness, policy makers should focus on generating practical circumstances that encourage men to take on a bigger share of care. 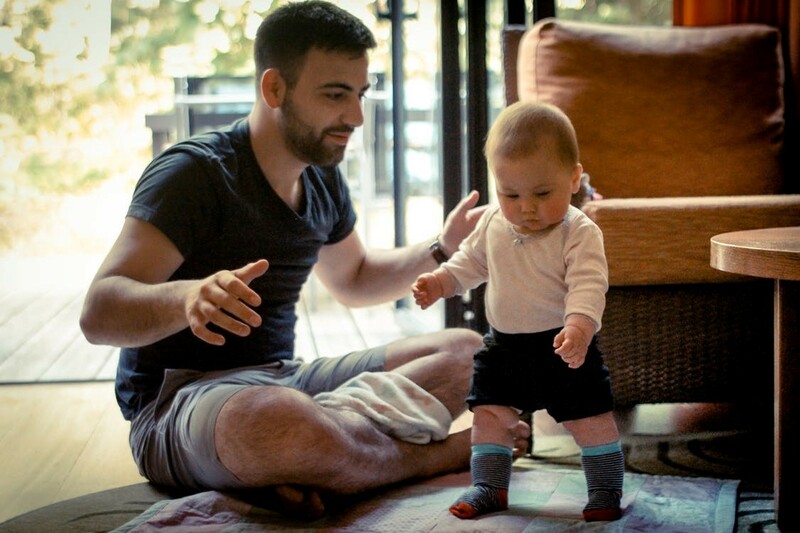 Select committee proposals for incentives to take extended paternity leave, and action on flexible working opportunities, offer greater prospects than government attempts to persuade fathers to share care in the absence of these. Having often begun fatherhood as breadwinners, the fathers had often developed, through their practice, a fairly confident understanding of themselves as interchangeable parents. Most regarded themselves as broadly equivalent to their partners in much of their role as parents and some questioned father/mother distinctions. In practice, expediency often determined who did what on a daily basis: issues of timing, location and availability determined who put children to bed, dressed them, made them meals and took them to/from childcare. Most were taking on an extensive range of roles and approaches to care and emphasising their comfort delivering emotional support. Nevertheless, mothers were still sometimes retaining disproportionate responsibility for emotional and organisational aspects of care. In spite of fathers’ embrace of the emotional and affective sides to caregiving, some told us their partner had remained children’s primary source of comfort. Mothers were often continuing to dominate care coordination and associated ‘mental work’, whether liaising with professionals and other parents or initiating decision-making. So why do mothers retain primary responsibility in some areas within otherwise interchangeable families? Many of the men’s partners had felt anxious relinquishing their primary care role and under pressure to continue to take overall responsibility (consistent with existing research). Exclusive periods of maternity leave had established roles, responsibilities, routines and relationships that endured after the adoption of equal or reversed roles. Institutional and social barriers hampered fathers’ role in organisational aspects of parenting: early years professionals tended to communicate with their partners; networks of mothers were not always easy to integrate with. Notwithstanding deep rooted broader pressures on women, the sharing of parental leave from early in baby’s lives may make it easier for caregiving fathers to take on full responsibility for emotional and organisational aspects of care later on. In addition, it is important for early years’ professionals and support organisations to continue to review how they include fathers in their communications, spaces and events. Although fathers spoke positively about their care arrangements, most expressed anxieties about female-dominated daytime parenting spaces or events and spent most of their care-days alone with their child. In contrast, their partners commonly spent more time out and in the company of other parents. Why? Mothers’ need for social contact (whether offline or online) in the challenging early months of maternity leave may be greater than that of fathers who take on caring roles at a later point. Mothers may also feel greater pressure to take children out to parenting events of different kinds as a result of intensive mothering pressures that fathers can be more insulated from. a difficulty finding other fathers to socialise with during weekdays – and a feeling that most local ‘dads’ groups’ catered for traditional, breadwinner fathers. A further recommendation, then, is that – notwithstanding the importance of discrete mother-oriented post-natal support in some circumstances – public, charitable and commercial organisations responsible for daytime parenting spaces and events should continue to review how to make these more father-friendly, where appropriate. Many thanks to Ranjana Das for her helpful comments on an earlier draft of this blog.